Activity book for early childhood educators contains a body of activities for early childhood educators for planning for integrated teaching using a thematic approach. The main purpose of this book is to help professionals, and give hints and ideas to creatively plan activities for children from 2 to 6. 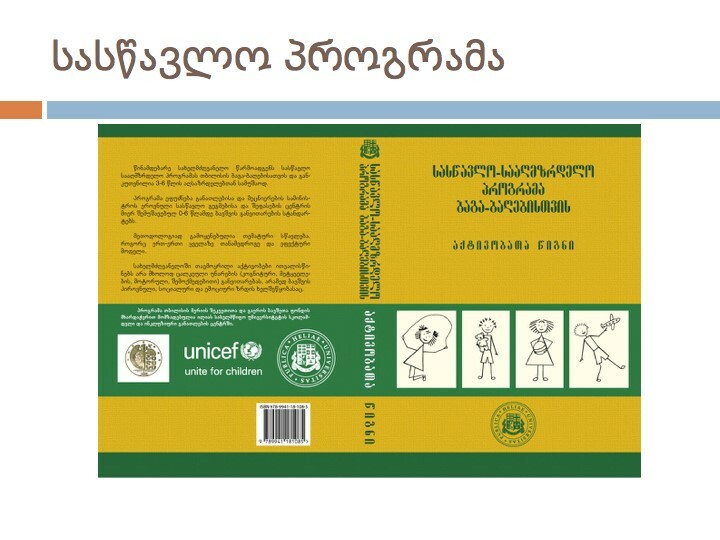 In particular, this activity book uses the rhymes and stories created by Georgian poetess Teona Beqishvili. The resource was created for Tbilisi (capital city of Georgia) kindergartens, but in few years it was scaled up to the entire country.